Give your face, neck, hands, and body a boost with Vivace RF Microneedling at Séchoir. Reduce and diminish fine lines and wrinkles all while naturally stimulating the production of collagen. FDA-cleared for your safety. 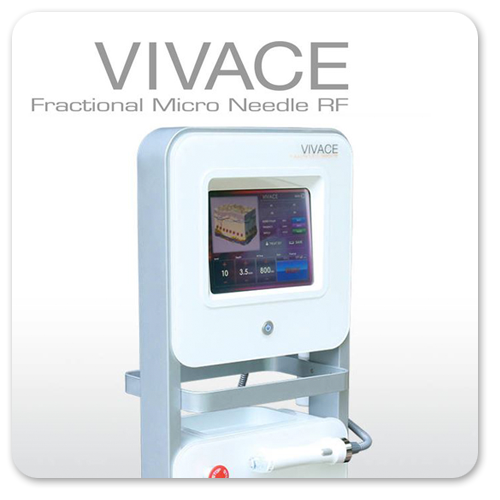 The newest generation of radio frequency microneedling, and The Vivace is FDA-cleared for your safety. This minimally-invasive treatment stimulates the natural production of collagen and is shown to be effective in alleviating facial wrinkles, fine lines, and tightening and toning the face, neck, hands, and body.